Gretchen and Charlotte looked at themselves in the mirror. They felt it was about time that they changed their wardrobe since they were living in a new town. Plus they had heard over the news that their father had just died. Gretchen took it awfully, as expected, but Charlotte stared into space and tried to come to the realization that the person who raised her, the person who had saved her from going to prison was now dead. They both took the day off from work to spend time together and watch movies on the sofa. What they need right now was just each other. It had been a couple days since Castiel had met Ruby and he finally got up the nerve to ask her if she really did want to get coffee or was she just kidding. She told him she wasn't kidding and of course she wanted to get some coffee and today was the day they were supposed to meet. Castiel: Okay you got this man. You're handsome, you've been working out more. There's no way she'll stand you up. Right? 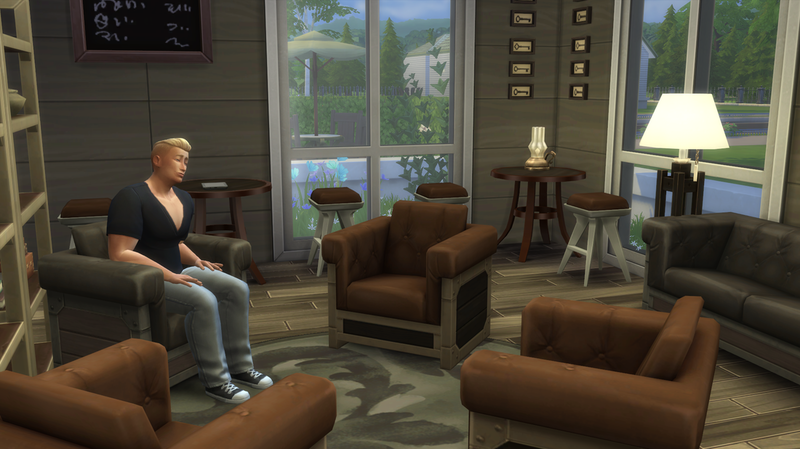 Castiel headed down to the neighborhood coffee shop and waited in the lounge area. The barista was looking at him funny because he hadn't ordered any coffee yet, but he wanted to wait for Ruby. About 30 minutes passed and there was still no sign of her. Castiel was about to give up hope when heard the the clacking of high heels on the wood floor. Out of the corner of his eye he saw a long black ponytail glide past him. Ruby: I am SO sorry I'm late! I was taking a nap and my phone alarm didn't go off, and I'm just so sorry! I hope you didn't wait for me to get your coffee! Castiel: Well I did, I didn't think it would be very nice if we didn't get coffee together. That was the whole point of this right? Castiel: Of course I didn't. I wanted to see you again. The room fell silent around them as they looked into each others eyes. Neither one of them could hear the smooth jazz playing in the background, or the sound of the espresso machine whirring to life. All they saw were each other, and it was electric. Castiel: Um...so what kind of coffee do you want to get? They talked for a couple hours about themselves and how they were raised. Castiel learned that Ruby came from a well to do family and that her father had paid for the house she was living in right now. He had told her about how he was raised and about his brother. Ruby was curious to know more about him and his brothers relationship but when she tried to press the matter Castiel grimaced and changed the subject. She decided not to press the matter any further and realized how much time went by. They both decided it was time for them to part ways but Castiel couldn't let her go. Before she walked off he grabbed her hand and wrapped her in his arms. Castiel: It was great seeing you..
Castiel looked into her eyes and it almost felt like they were pulling him in, closer to her. Castiel: Was that a bad thing to do? Ruby: No...it wasn't a bad thing at all. 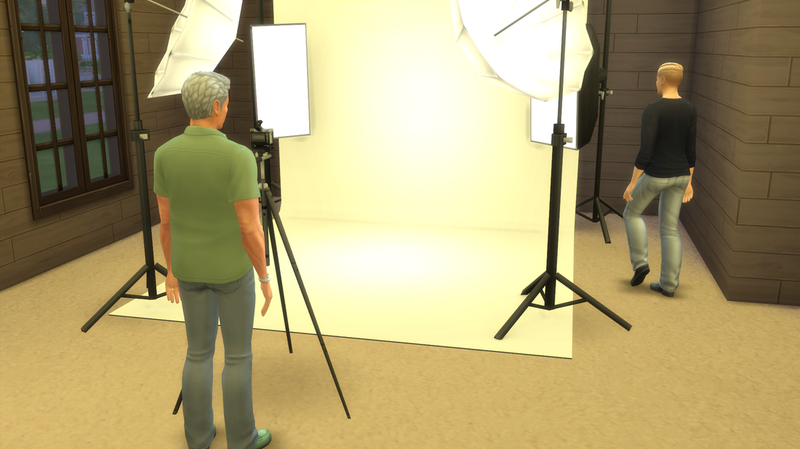 Meanwhile at home Angelo was getting ready to take Damens heir picture but he wasn't exactly being cooperative. Angelo: Damen please stay still for the camera and stop walking away. Damen: I didn't even want to get my picture taken dad! Damen: Nor did I want the title of plumming heir. He finally allowed his father to take his picture. Although he was cranky he decided to try and call Gretchen. He had called her everyday since they met but she had only picked up once. This did not stop him from pursuing her. Angelo got quite worried when he noticed this behavior in his son, he didn't want him to get arrested for harassment. Today it seemed was one of the moments that Gretchen actually did pick up the phone. Damen: Gretchen! Hi! I'm glad you picked up! I was wondering if maybe you wanted to go out on a date sometime? Gretchen: Listen..I really can't. It's just not a good time for me right now. Damens temper started to rise and he clinched his phone tightly. Damen: Alright. Talk to you some other time. He smashed the end button on the screen and charged upstairs. Damen had to take a shower. He had to cool off. This girl was killing him, he couldn't go through his day without thinking of her. Was it because she denied him? Or was it because of what she said? He put his hand on his forehead and pressed down. All he knew was that he wanted her. More than any woman he's ever met in his life. For plum sake he hadn't even slept with another woman since meeting her! He had to get to bed, hopefully she wouldn't haunt him in his dreams too. The next morning Castiel was sound asleep. 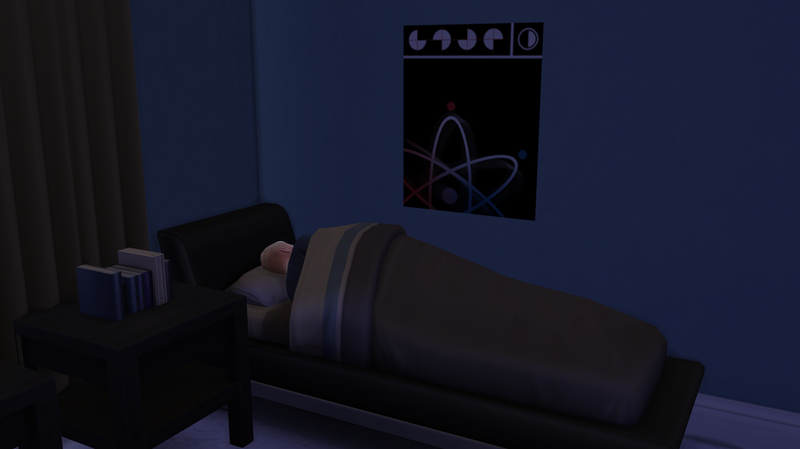 He still slept in his old bedroom since Damen got the guest bedroom because he was heir. 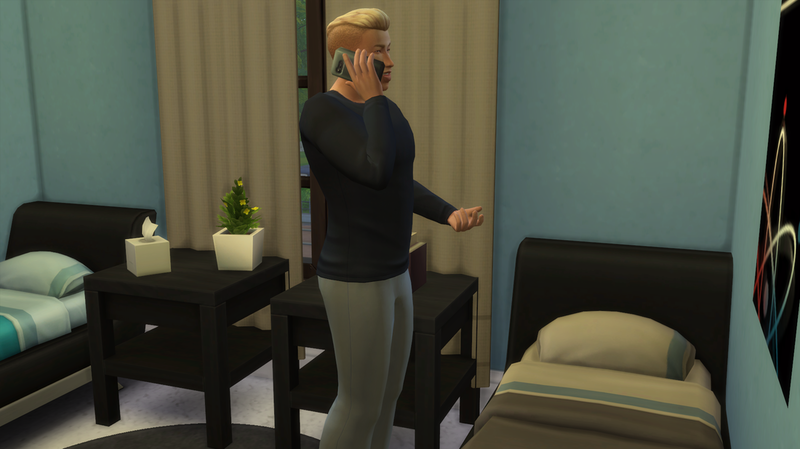 There was a buzzing sound coming from his phone that was sitting on the nightstand. He reached over and fumbled around looking for it. Looking at the caller ID he realized it was Ruby. 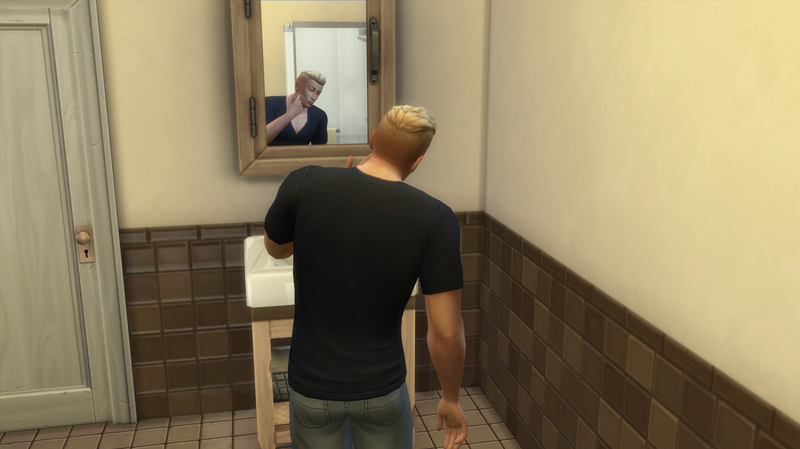 Castiel shot out of bed and picked up the phone, rubbing his face to wake himself up. Castiel: Hey Ruby! What are you doing up so early? Ruby: Um well...I'm kinda outside your house..
Castiel looked through the curtains in his room and down to the front deck, and sure enough Ruby was standing down there looking up at the window and waving. Castiel: Um...okay I'll be right there. Let me get changed first. Castiel hurriedly put on some clothes and rushed downstairs to answer the door. Castiel: Soooo are you gonna explain to me why you're here so early? Ruby: It's like, 10 am Cas, it's not early. Plus I just wanted to see you. I felt like we had some things to discuss. Castiel didn't like the sound of that but he still allowed Ruby in and they made their way to the living room. Ruby: I need to know about your brother. Why won't you tell me about him? Castiel: Why the plum do you wanna know about him? Ruby: Because you act like he's such a bad guy and you told me to stay away from him but you won't give me an explanation! Castiel: Alright listen. I'll give you the short version. My brother is evil, a womanizer, and a bully. He will use your love and kindness to his advantage and then throw it all back in your face without a second thought. Ruby: He's evil? I highly doubt that. If that was the case there would be no way he one the heir vote. Castiel: Yea well he did. I plan on moving out soon and getting a house built. I already have the floor plan and everything ready. Ruby: Oh well maybe then you can let me move in with you! It would be nice to live in a luxury house. Castiel: Who says it will be luxury?! Ruby: Hunny if you come from this, it's gonna be a luxury house. Castiel: Well it may be that, but who says I want you as a roommate anyways? Ruby: Oh weeelll I wasn't exactly thinking of being JUST your roommate. After they had sat there and kissed for a while Ruby pulled away with a worried look on her face. Castiel felt like he knew what was wrong so he pulled her up. Castiel: What's on your mind babe? Ruby: I just...where is this relationship going? Castiel: Well do you wanna be my girlfriend? Ruby jumped up and down and rushed into Castiels arms. Ruby: Well then of course! I thought you were gonna just use me and throw me away! Damen: Nah he's not like me babe. Castiel: Don't talk to her like that! Damen: Chill little bro, I have another girl in my sights anyways. She can be all yours. And with that Damen went upstairs to get dressed leaving the two new lovebirds alone once again. Damen had a mission today and he knew what he wanted to accomplish. Damen walked up to the front porch of the Bloomer house. He knew where it was because he over heard Charlotte telling Castiel about her little friend, who apparently is the twin sister of Gretchen. Once he got to the door he jiggled the handle and realized it was open. So with determination he marched right into the house. Damen heard a commotion going on in the kitchen and headed in there. The person he came for was standing right there. 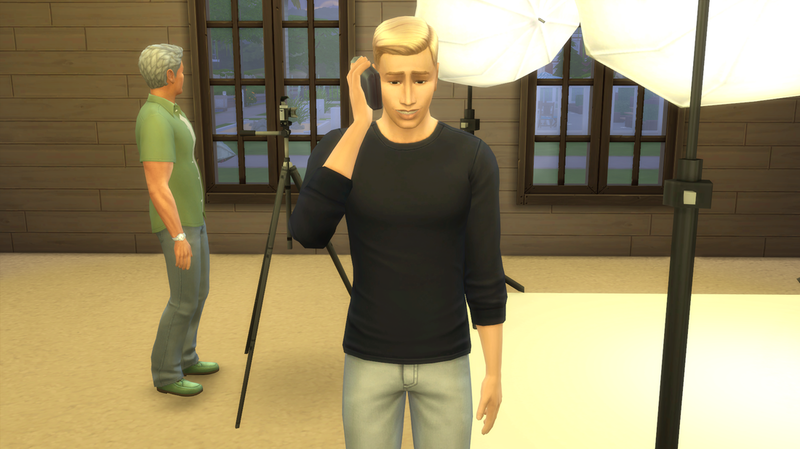 Confused, Damen sat down at the kitchen table as Gretchen stopped her cooking and looked over at him over her shoulder. Gretchen: What are you doing in my house? Damen: I came for you. Gretchen: My dad was a cop and I hope you know I know how to kick the plum out of you. Gretchen: I've been watching you Damen. I know you've been following me. Gretchen came over and sat down in front of Damen, waiting for his response to her allegations. Damen: Why do you say that? Gretchen: I went to the grocery store the other day and I saw you there too. I know for a fact that you get your groceries delivered so you don't have to deal with paparazzi. Then I saw you at the park while I was out for a jog. Your family has an at home gym so there was no reason for you to be there, plus you weren't working out. Damen didn't know what to say. He thought he had been good about blending into the background but he guessed he wasn't as good as he thought. Gretchen: Come sit with me in here. When they got there they both started talking. Damen tried to justify what he had done but he couldn't. He decided to just come out right and tell her what kind of plan he had. Damen: Listen. I'm the heir, you already know that. But I need a wife. Damen: I'm really not that good with the whole romance thing but you have strength, a will unlike any other I've seen in a woman. I want that passed on to my children. So I have a proposition for you. You marry me and I give you all the luxuries of living in a wealthy legacy family and in turn you just have my children. Gretchen stood there in silence with a grim look on her face. She knew that being in a prominent family like that could either blow her cover or it could save her. 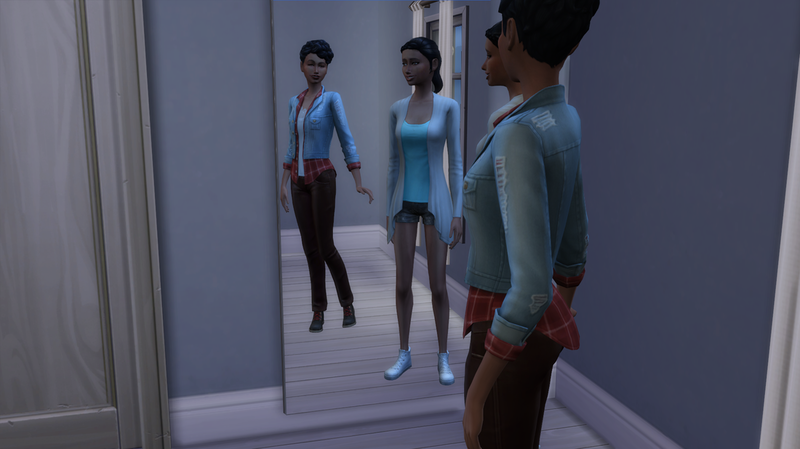 They could afford expensive attorneys that could keep her and her sister out of jail, but she would be all over the local newspapers, and if one of those managed to get to the new police chief in the other Newcrest...well she didn't want to think about that. Gretchen: I have some conditions if I'm going to accept. One, I want a public proposal so at least it looks like we were actually a couple before all this. Two, I want to be able to have as many children as I want. Three, I want an allotted amount of money sent to my sisters bank account so she can live a comfortable life when I move out. And lastly, I want you to make an effort in being a good husband and father. I want you to at least try and learn how to be romantic and sweet. If you don't follow through with any of these then I can get a divorce from you no questions asked, and I can take the children. Alright? Damen stood there and contemplated everything he had heard. There was no reason for him not to agree to the terms but he felt like he would struggle with the last one. Shaking his head he reached out his hand to shake Gretchen's. Instead Gretchen pulled him into a hug. Gretchen: This is the first step to learning how to be a good guy. You can be sweet to somebody without trying to get into their pants. See, hugging isn't so bad is it? Damen grunted in response but couldn't help but notice how good Gretchen smelled and how warm she was. It reminded him of his childhood when people actually use to like him, and when his mom used to hug him. Her shook the thoughts from his head and pulled away from her. Damen: So we have a deal? Gretchen: We have a deal.